More defensive buffoonery, another clean sheet goes begging. The host's tenacity cannot be denied - they bossed much of the first half and could easily have gone in ahead at half time after a catalogue of Leicester players made mistakes: Sean St Ledger, Yuki Abe, Matt Mills and Matt Oakley could all be faulted at one time or another. Considering the Foxes' big spending this summer has been massively into the defence, a total of one clean sheet after six fixtures in all competitions is not at all reassuring. There was nothing that could be done to stop Ryan Lowe's brilliant free-kick. But at least this wasn't too embarrassing. Leicester got the win, after all, and it was pretty solid too in the end. Norwich City were thrashed 4-0 - at home - by MK Dons and the other two promoted Premier League sides were beaten by lowlier opposition, too. The Foxes still aren't firing on all cylinders. A lack of consistency is hampering Leicester City's efforts to date, typified by the nature of the last three fixtures where within the same half spells of superb football have been mirrored by a level of play akin to that experienced under Martin Allen. A bizarre situation that needs to be remedied if even a play-off push is to be achieved. The youngster just loves the League Cup. His first goal was one demonstrating clearly his raw, breathtaking talent as he turned in a minute space to get his shot away - his first of the game. He was unfortunate not to grab a second on thirty five minutes when he was denied by the outstretched arm of Bury keeper Cameron Belford. Schlupp faded in the second half, mostly due to tiredness one would suspect, but as an eighteen year-old up-and-coming striker he is doing himself no disservice at all. Two appearances, four goals is an enviable tally. Gallagher played brightly, crossing the ball well - even despite the lack of forward runs from his colleagues - and received his reward when he netted from a free-kick that appeared at first to be too close to create a goalscoring opportunity. He would hope to be pushing for a starting berth in the league. His superb 77th minute strike saved the blushes of his colleagues and was a beauty to boot. A solid performance from the winger who answered many of his critics with a sublime finish. Despite an error or two early-on, Oakley did well to keep up with the pace of his younger colleagues and his performance was with credit. As an ex-Cestrian, it was pleasing to see these two former Chester City boys still playing in the Football League. Mozika was certainly a talent when he burst onto the scene at the Deva Stadium a few years ago and it is good that he is fulfilling his potential in League One, whilst Lowe is having a wonderful time at Gigg Lane, his 80-odd appearances being rewarded with a stunning 49 goals, of which tonight's awesome free kick is surely one of the best. An off day for the usually reliable Japanese international, whose experience failed to materialise as he was regularly out-muscled and over-played in midfield by the less talented - but more willing - Bury players. he made some mistakes in the middle of the park that handed opportunities to the dangerous Lowe and Lenell John-Lewis. Not a terrible performance from the veteran, but his fitness is still a concern and he visibly laboured in the second half at Gigg Lane. Still no great shakes from a man worth over £5 million. He must take more responsibility in leading the line of his defence. As great as Jeff Schlupp's statistics are, Chris Weale's are pretty poor. The Bristolian's two appearances have seen him concede three goals now. "It's Schlupper-time". What even is that? 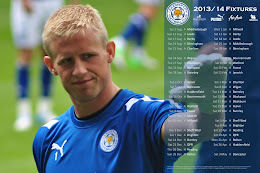 Edited 23/08/11 - Removed sentence stating that Kasper Schmeichel would remain suspended for a further game.